45 m² + 6 m² 4 beds, including 2 for children in the annexe, mobile heater (radiator), electric oven, covered barbecue, fountain. Parking at 30 m distance. P.S. In this house there is no running water. Your water you refer from fresh water wells and from the lake. It is washed directly into the sauna, where the water is heated in the heater and is mixed with cold water to the right temperature. You will see the nonexistent shower you will not miss that. 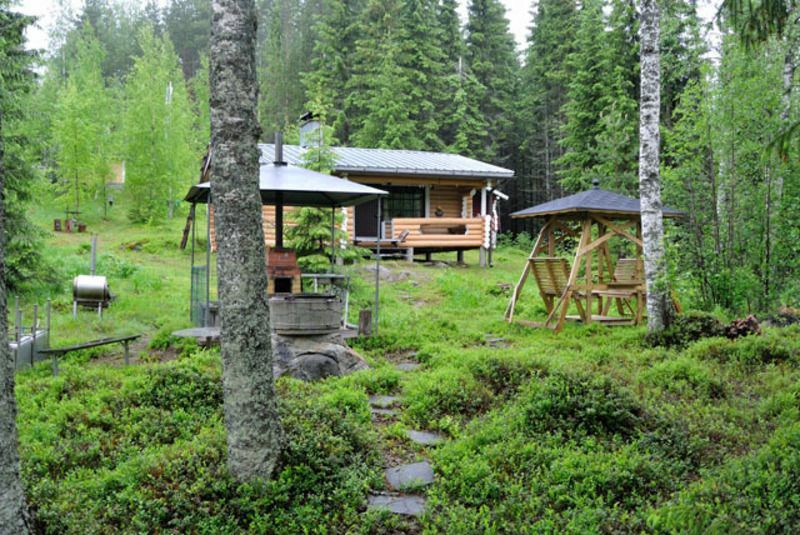 Simple, typical Finnish log house in a very quiet location in the small slope. Ideal for anglers, mushroom and berry pickers.